This guide will lead you on a path to selecting a board certified orthodontist in Monroe, NY. Orthodontics focuses and specializes in the treatment and prevention of dental and facial irregularities. Special professional skills are acquired by the orthodontist in order to provide clients with the right services that help bring teeth and jaws into proper alignment, ultimately creating facial balance. Choose a Board Certified Orthodontist Specialist – Chose an orthodontists specialist in Monroe that has completed an additional two to four years of full-time advanced training. Make sure to verify their education background that they have completed an accredited orthodontic program. There are many benefits of selecting a board certified orthodontist. An orthodontist who is board certified has achieved the highest level of training and certification possible. Many dentists may offer orthodontic treatments in their offices but do not necessarily have the right knowledge or skills to evaluate every case properly. Please also take into consideration that not all of the orthodontists in Monroe, NY are board certified. Jacquie Smiles completed her DMD degree and orthodontic residency at Boston University and after graduation became the first female and youngest Director of B.U.’s Predoctoral Orthodontic Department. Timing – There is a perfect time when orthodontics techniques will produce the best results. The American Association of Orthodontists recommends that all children have an orthodontic evaluation by the age 7. By having an evaluation, an credible orthodontist can see whether some oral issues can turn into problems in the future. 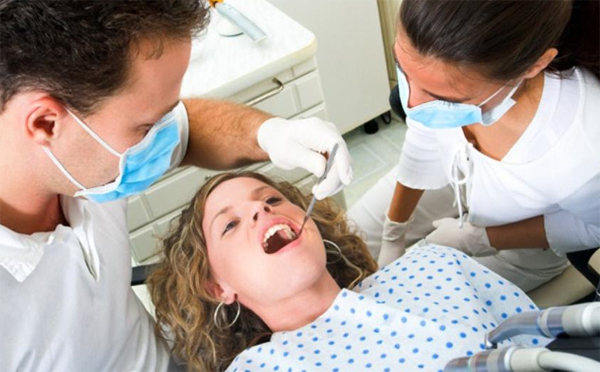 You can prevent major dental problems with an evaluation performed by Dr. Jacque Smiles. All orthodontics evaluations are complimentary at her office conveniently located at Monroe, NY. Children friendly dental office – It is not uncommon for young children to be scared and fear visiting a dentist’s office. When selecting an orthodontist in Monroe, ask if their practices are kid friendly with fun and exciting atmosphere for your child. At Dr. Jacquie Smiles’ office, we are specially trained to help relieve your child’s anxiety, our staff loves working with children. Dr. Jacquie and her team designed state of the art dental office in Monroe, NY with children and teens in mind. We have video game systems and flat screen TVs so your child looks forward to his/her next dental visit. How many orthodontists work in this office? How frequent will the visits be? What are the office hours to make it convenient for you and your family’s schedule? What are the orthodontics costs? Do you have any references from past or current patients? As your child grows, we encourage regular check-ups (once every 6 months). This not only helps us watch the development of your child’s teeth, but it helps your child grow accustomed to visiting our office and they become more receptive to treatment. Check-ups allow us to spot early signs of cavities, and to monitor the eruption of teeth. We can treat minor problems before they turn into major ones. Not only does it give us the chance to clean your child’s teeth, but we are able to teach them proper brushing and flossing habits (including technique) so they can take their oral health into their own hands. Our convenient Orange County location on Route 208 in Monroe, NY makes visiting our orthodontics office much easier.